Our Petite Palm Earrings are a favorite staple among repoussé jewelry devotees. 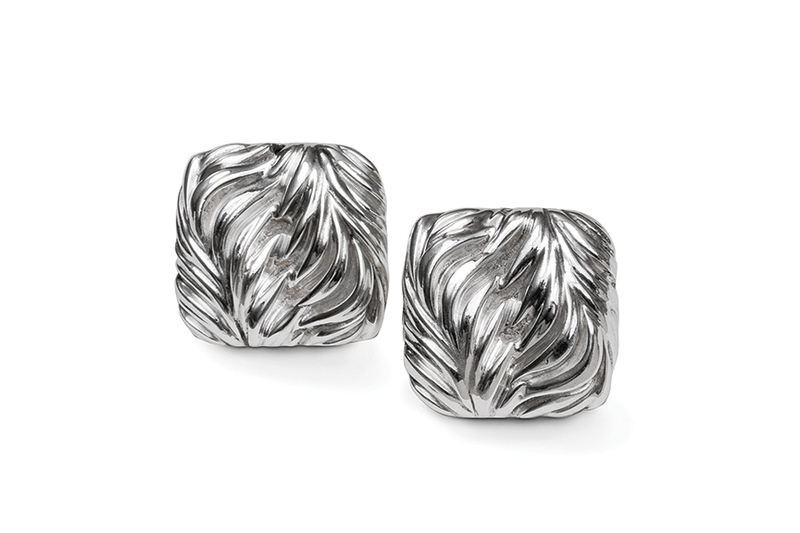 These sparkling sterling squares give a clean, understated elegance to your look. The signature swirls of the palm motif add just the right touch of sexiness. Looks particularly smart when also wearing the Palm Ring.